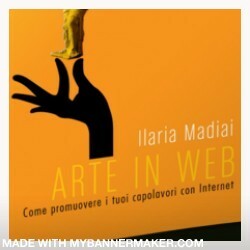 Questo articolo è stato pubblicato in web marketing e taggato rete, web marketing da Ilaria. Aggiungi ai segnalibri il permalink. I would like to take the ability of saying thanks to you for the professional instruction I have always enjoyed visiting your site. We’re looking forward to the actual commencement of my school research and the whole preparing would never have been complete without surfing your site. If I could be of any assistance to others, I would be happy to help by what I have discovered from here.